Temasek’s realised loss after selling its Bank of America (BoA) stake could be as high as S$6.8 billion. Temasek, “no regrets” for $6.8bn loss? While I believe Singaporeans accept that in all investments there will be ups and downs, Temasek and the government cannot hide behind this flimsy excuse for realising as large a loss as this. This is a national scandal! Where is the accountability? None whatsoever, it seems. The CEO of the company is allowed to retire gracefully, saying she has “no regrets”. So what will cause you to leave with regrets, Ms Ho Ching? A $10 billion, or a $100 billion loss of our future generations’ money? Since Temasek is a wholly owned company of the Ministry of Finance, I don’t think they can just claim they are a private company that is accountable only internally. Temasek Holdings, the Singapore state investment company, has pulled out of its investment in Bank of America, selling its 3.8 per cent stake in the US group. The disclosure on Friday of the sale follows an announcement by Ho Ching, Temasek’s chief executive, that the company is to cut its target for planned investments in developed economies and invest more in emerging markets. Temasek is estimated to have lost at least $2bn on an investment foray that began with it taking a stake in Merrill Lynch in December 2007 for $5bn. 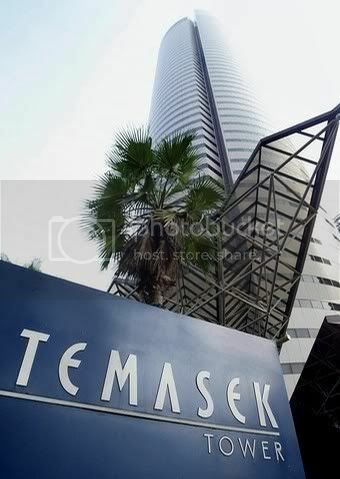 Temasek injected another $900m into Merrill last July and became its biggest shareholder, with a 13.7 per cent stake. It held 219.7m Merrill shares at the end of 2008.